This topic contains 2 replies, has 3 voices, and was last updated by Jim Jackaman 2 months ago. 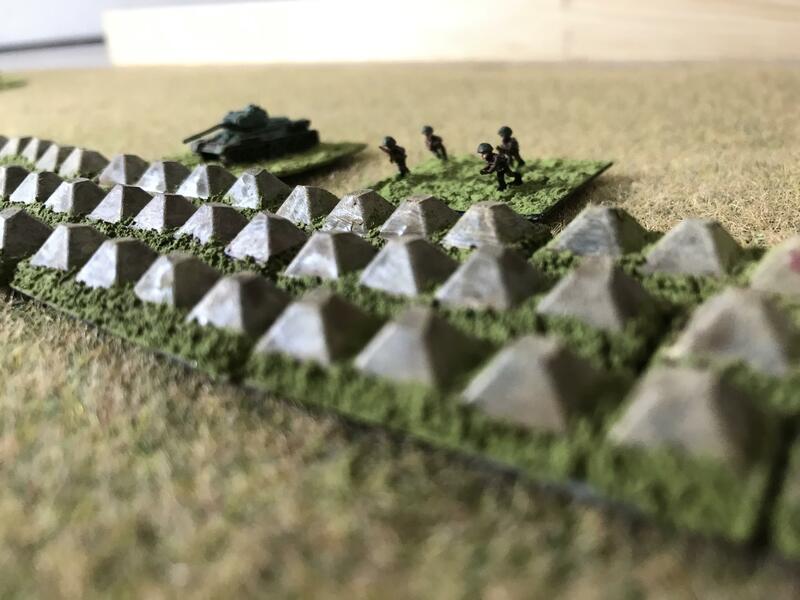 About a year ago I was looking around for some dragon’s teeth to use with my 6mm figures. I couldn’t find much on offer from the various terrain manufacturers – at least not within my budget – I wanted to be able to run a line right across my table! So I ended up scratch building some. I think it turned out very well and was pretty straightforward. You can see the results here at allhellletloose.co.uk. This topic was modified 2 months ago by Charles the Modeller. Thanks for joining and posting, yup that seems prolly as easy and cheap as you can get!